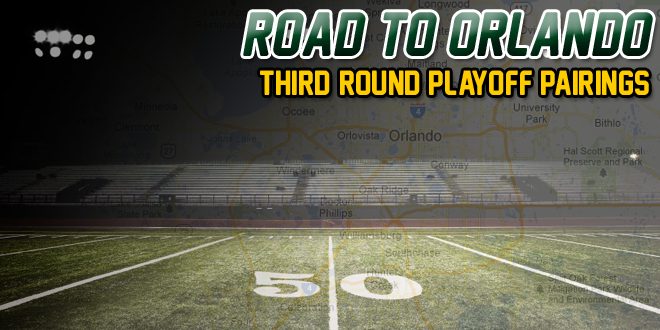 Here are the third round playoff pairings for Thanksgiving Weekend. All kickoff times are schedule for Friday, November 29 at 7:30p ET unless otherwise noted. South Dade (11-1) at Coral Gables (11-1), 1:00p Sa.